Powerful leaders know EMOTIONAL INTELLIGENCE gives their organization the competitive edge. Smart leaders know that business success depends on quality people. Build a RESILIENT team, and they can not only handle uncertainty, they can thrive. Purposely create a HEALTHY culture, and your people can focus more on fulfilling the mission, and less on dealing with drama. I help leaders create a RESILIENT and HEALTHY team culture with virtual and in-person emotional intelligence coaching and training. Patti has incredible insight and agility in seeing what I need and being able to deliver it. She helped me get through things that years of studying and multiple coaches weren’t able to. Patti has such a calm manner; I know she always has my best interests at heart. I feel totally comfortable with her and confident she can help. I highly recommend her! Be powerful. Build powerful teams. How well do you manage yourself in churning conditions? How well do you communicate with employees and peers under stress? Do you know your strengths? Do you know how others perceive you? Do you know your blind spots? Organizations are like families. If the "parents" are strong and have healthy emotional intelligence skills, the family thrives. If the parents are unskilled, the family struggles, trying to compensate. This creates stress, drama, inefficiencies. It erodes trust, damages relationships, and costs time and money. Powerful leaders invest in emotional intelligence coaching for themselves because they know the success of the organization mirrors the health of the leadership. When success really matters, then fine-tune your emotional intelligence skills. This lets you lead by example, and model your organization's culture. Want to know more? Click here to see my Leadership services. Or schedule a no BS, no pressure, FREE 30 minute discovery call. It is so much easier to start with the right players than it is to undo a bad choice. 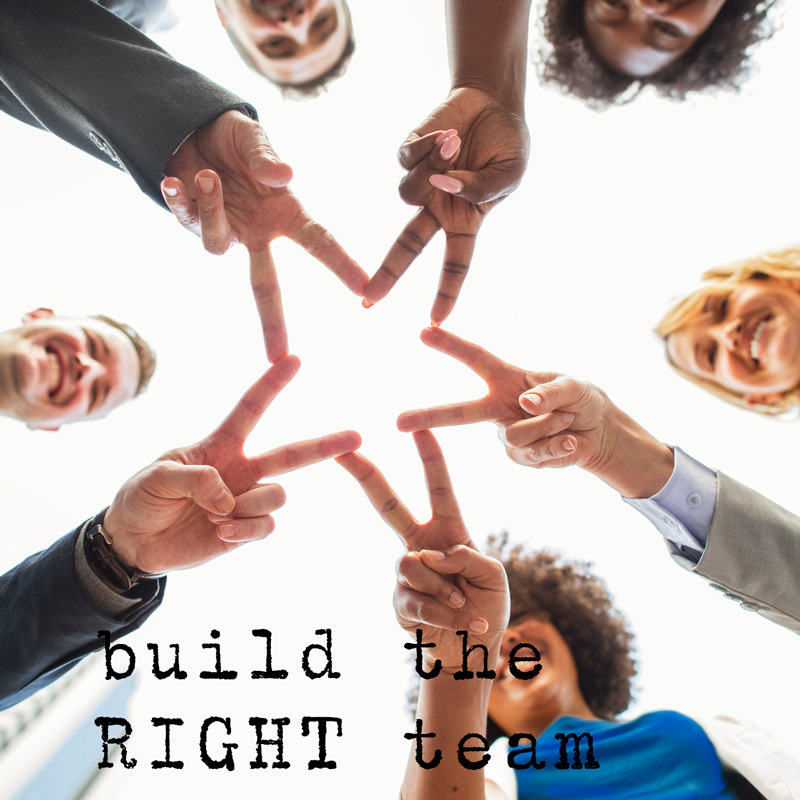 The price for partnering with the wrong co-owner, senior team member or executive admin can be anything from aggravation to thousands or even hundreds of thousands of dollars lost. Interviews and standard personality profiles can only tell you so much. Some people answer all the questions well, but you don't really know how they cope in the real world until it's too late. So, when the results really matter, smart leaders look for ways to see what typical personality profiles can’t. Most organizations do a pretty good job at providing technical training. But are your teams trained in the crucial people skills that make a difference? or managers who don't know how to best navigate conflict. Savvy leaders invest in training the "soft skills" that make strong teams. Live and virtual trainings in communication and connecting with others, boundaries, conflict management, assertiveness, confidence, and motivation can boost your teams' emotional intelligence as it allows you to create a resilient culture. Want to explore how this might work in your environment? Let's schedule a no BS, no pressure, FREE 30 minute discovery call. What happens when a high-tech R&D Director follows her passion into becoming a family therapist for a decade, and then marries all that experience with an entrepreneurial spirit? You get a savvy professional coach who knows what it takes to create confidence, courage and clarity for leaders and their teams...from the inside out. Meet Patti Villalobos, an Emotional Intelligence & Leadership Coach. You see, emotional intelligence builds resilience. It isn’t something you just hope your people have; it's something you purposely cultivate and build into the character of your company before you're inevitably challenged. For more on coaching opportunities with Patti Villalobos, click here. For more about Patti Villalobos, click here. This is different from the utterly impossible, perfectionistic anxiety I've had about keeping up with things before. It's so much easier. Much closer to the "unforced rhythms of grace"
I am who I am precisely because of what I've been through! The joyful experiences of my life are sweeter, my relationships more authentic and real, my faith more unshakeable, and I am stronger and wiser than I've ever been! ...here's the truth: that voice is just a brain trick you can't afford to fall for, no matter how real it feels at the moment. The truth is that NO ROAD LASTS FOREVER because even if the circumstances can't change, your feelings inevitably will. I have several important goals I've been working towards with diligence. Yet lately, my motivation and determination have taken a beating. Distractions - personal and from the collective, real and imagined, important and trivial - create an uncomfortable static in my mind. My vision starts to muddle, and I start to doubt myself....Anyone else felt this way recently? f you’ve faced no adversity, then hope is easy. If you’ve faced some adversity, hope is necessary to keep moving. If you’ve faced much adversity, to hope is the most courageous thing you can do. One of the problems with 24/7 news coverage is we can become inundated with horrific images which literally put us into a negative trance...A better move is to be aware, but then shift your focus off the screen, and towards a feeling of compassion....Because compassion comes with the desire to alleviate suffering, it motivates us towards action. We live in chaotic, heart-breaking times right now. But we do have a choice. Here are 3 steps to grounding yourself in order to take inspired action...instead of being a part of the fear. Setting boundaries is an inside job. That's key. I had to learn to not only not take in other people's stuff, but to also set limits against what was harmful to me. I could not wait for anyone else to do it for me. If your brain rests upon things that are anxious and fearful, it takes that shape. If your brain rests upon things that are positive and hopeful, it takes that shape. Literally. Read here about how to take the "Gratitude Challenge," an easy, powerful way to start shaping towards more peace.